What? There's good news about the real estate market? Definitely. Despite what the media wants you to think, houses are continuing to sell in this market and Colorado cities have been picked as great places to buy real estate in this market according to SmartMoney Magazine. The important thing to remember is each market is different. You can't just take a snapshot of the nation and report it as "where real estate stands." Denver, CO (as well as Colorado Springs) is actually seeing a brighter outlook than most because we never took the drastic hits that other markets have seen. In fact, prices have actually increased by 16% in the last year. 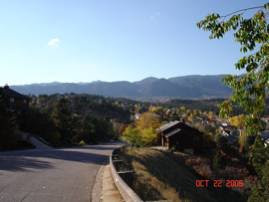 Plus, the State and cities of Colorado have received many other awards, such as Colorado Springs being voted in the Top 25 Schools for 2007 and Top 100 Places to Relocate for 2008. Be sure to educated yourself by checking out the article in SmartMoney Magazine and sitting down with a real estate professional in your area to get an accurate assessment.